Here is an example of the effects of environment. This year, we planted corn 10 days later than last year (it was cooler than usual this spring). We planted about the same number of seeds, and most of the seeds germinated. Unfortunately, there were 3 frosts and light freezes from mid April until mid May. Some corn plants were damaged by the frost — despite being covered with hay mulch for protection. 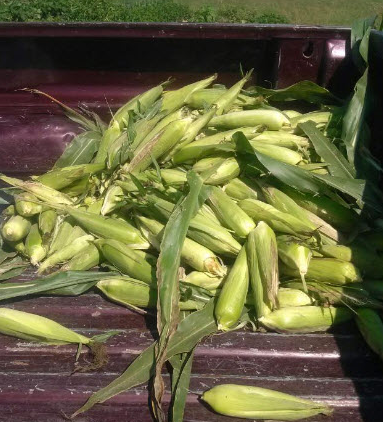 On May 19, 2012, we harvested an abundance of corn (32 quart bags in the freezer! 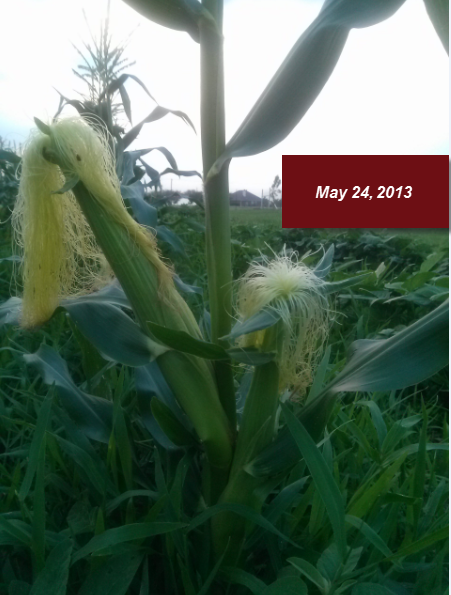 ); however, on May 24, 2013, the corn was still at least 3 weeks from mature and fewer than half the plants survived. With heavy rains starting in late April, the grass has nearly taken over.